Home World Affairs Christchurch attacks: Al-Noor mosque reopens to worshippers. 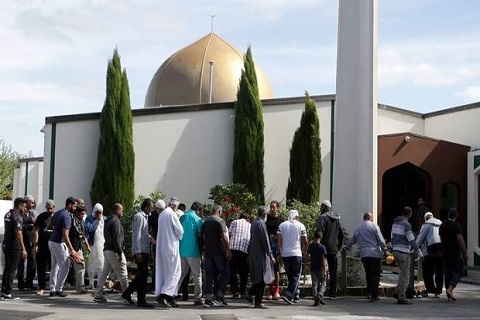 Christchurch attacks: Al-Noor mosque reopens to worshippers. The building had closed so police could investigate the attack but on Saturday small groups were allowed to return, said a BBC News report on Saturday. Previous articleOmar, Mehbooba see LS polls behind govt boycotting Pak Day event. Next articleIs this really ‘Kashmiri Freedom Movement’?